Replacement small plate electrode for use with the Experimental Life Energy Meter. 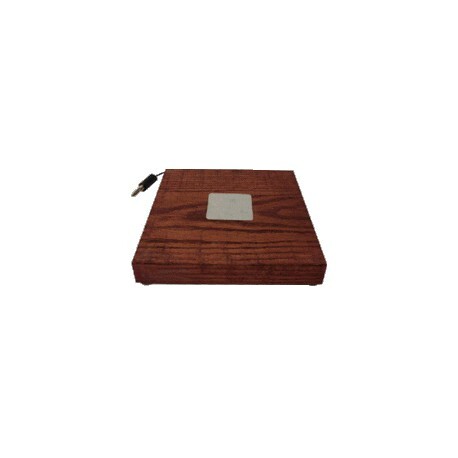 A 1.5" square galvanized iron plate mounted on an attractive wood platform. This probe is designed for general purpose measurement and liquid sample testing. It also is well suited for measuring flat objects like plant leaves as we've detailed in the R & D page. The sensitivity of the small plate is about the same as the tube probe.